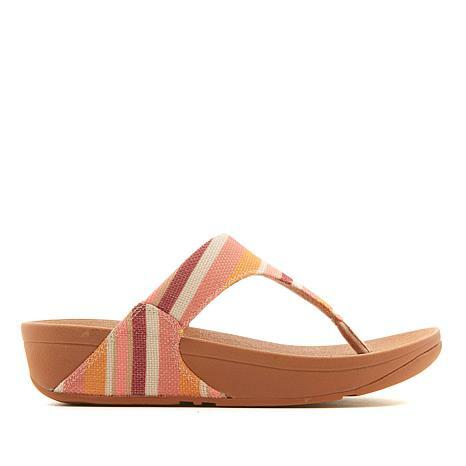 You'll make a splash this season in this summery sensation. This rendition of the Lulu gets pizzazz from striped canvas in fresh hues that are perfect for beaching, brunching and bringing personality to whatever you wear. The foot-friendly design features a comfortable triangular vamp, an ergonomic, pressure-diffusing Microwobbleboard™ midsole plus a padded microfiber lining and contoured footbed with integrated arch. 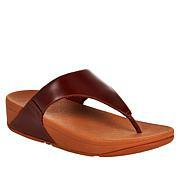 Fun, fabulous, FitFlop sandals!